Due to the historical heritage Thi Qar province enjoys, which goes to thousands of years back and admired by many countries around the world, the need for building the Nasriya International Airport is of great importance in order to open Nasriya to the world. The NIC announces with coordination with the Civil Aviation Authority the investment opportunity to build Nasriya International Airport according to investment law number 13 for 2006 (amended), and the general, international, technical, and operational requirements to establish civil airports stipulated in the International Civil Aviation Organization (ICAO). The airport is located to the south – west of Imam Ali (PBUH) air force base in Thi Qar province as shown in chart (1). Area of the Passengers terminal structure is 3000m² as shown in chart (2). Interested foreign and local companies can apply by filling the investment licenses available on our website and submit all required documents to our email address info@investpromo.gov.iq within 15 days from the date of announcing this advertisement. State Company for Phosphates within all its facilities: Our company ” The State Company for Phosphates” as one of the affiliates of the Iraqi Ministry of Industry and Minerals is pleased to invite all investors and international, Arab and Iraqi companies specialized in the field of fertilizer industry to rehabilitate our industrial plants. Offers may be accepted from any other companies, financial or commercial institutions, investors or capital owners with accompanying documents and cooperation, authorization, agency or participation of companies specialized in the establishment and operation of fertilizer plants on that:1. A minimum period of (2) years has passed since its establishment.2. Submit its documents of incorporation certificate and financial statements (in English for non-Arab companies) for the last two years and approved by the office of a chartered accountant or international auditing company. All documents must be authenticated by the Embassy of the Republic of Iraq in the country of the company.3. Presenting publications or leaflets on their similar work.4. 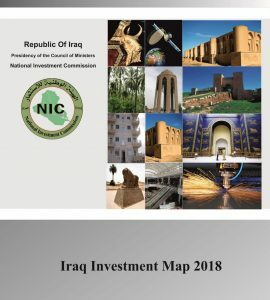 Submit a letter of support from the banks of the honest support financial efficiency or dealings with the disclosure of support for money and deposits for the last fiscal year certified for Iraqi companies inside Iraq or the Embassy of the Republic of Iraq in the country of non-Iraqi companies.5. Offering company must show its technical capabilities and plans to qualify and develop existing products or enter new products.6. Provide a list of machines or production lines, number and tools and readiness for technology transfer and training with the details of the amounts allocated for each paragraph, with emphasis on the new equipment and production lines brought in from a reliable and trustworthy origin.7. The contract is subjected to the Iraqi laws The jurisdiction of the Iraqi judiciary in the resolution of disputes and problems that may arise after signing the contracts and legal legislation to resolve the dispute, if any.8. Provide a letter of guarantee in the amount of (100000000 $) a hundred million dollars to ensure the implementation of general obligations and the amount of the letter of guarantee shall be reduced by 50% of the value of each batch of machines or equipment that is processed to the company in accordance with the agreed contract up to the amount equivalent to the salaries of the company employees for three months and is agreed to be operated by the second party.9. 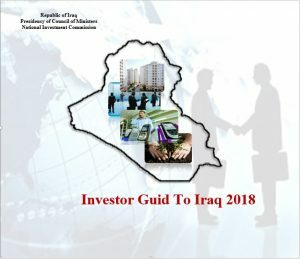 A registered branch must be opened in Iraq at the time of the contract and duly registered with the Registrar of Companies within a period of (3) months from the date of signing the contract or a branch of the international companies specialized in the field of fertilizer industry or establishing an Iraqi company according to Iraqi laws. This is a contract extension.10. The companies, financial institutions and other non-industrial entities referred to above shall be covered by the submission of paragraphs (4,3,2,1) in addition to the manufacturer’s documents in (6,5,3,2,1) above.Those wishing to participate in this opportunity should obtain a copy of the integrated investment file from the office of the company located in Baghdad – Yarmouk – Locality 608 – Street / 15 / House no. / 9, for a non-refundable amount of (500,000) five hundred thousand Iraqi dinars .Offers shall not be open until 30 days have elapsed from the date of publication of the advertisement. In the event of one or more offers during the above period, the advertisement shall be stopped for the purpose of studying and analyzing the offer or offers submitted for the recommendation. If no recommendation is reached, Up to (30) days and the same mechanism approved in the above and continue for a period not exceeding one calendar year from the date of the first publication.§ Our company undertakes to provide all the technical information, details and facilities necessary for the facilities and facilities of the company as well as ensure field visits to the company’s site in Anbar province – Qaim district – and Akashat Phosphate Mines location.§ Offers must be submitted in accordance with the conditions mentioned above and the investment file must be in three parcels (technical offer package + commercial offer package) + package for the required documents, including the purchase of a copy of the investment file.§ Bids shall be deposited in the tender box at the company’s office in Baghdad. In case of coincidence, the closing day an official holiday .Tender box will be closed on the first day following the official working days.§ The advertisement will be effective as of Monday, 1/4/2019.§ To answer the inquiries about the investment opportunity and for further inquiry please visit the company’s website and contact details below:o Website address: www.phosphate.industry.gov.iqo Email phosphate .alqaim@gmal.como General Manager: 009647902179677o Rehabilitation Manager: 009647809840148o Commercial Manager: 009647823495043 Note: Offers must be submitted in accordance with the conditions stated in the investment file (commercial – legal – financial) and the winning company shall bear all the fees of publication and advertising.